SIZE: 10,400 Sq. Ft. / 967 Sq. Mtr. 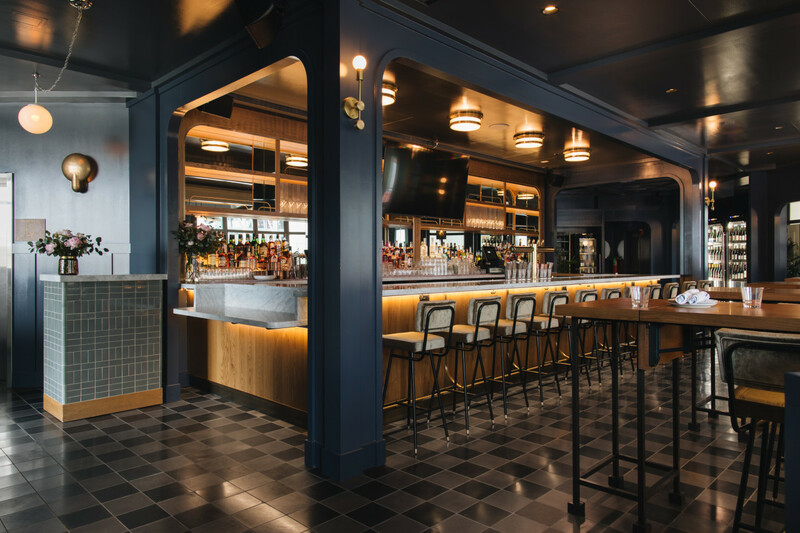 The design of Dutch & Doc’s (the 5th collaboration between AvroKO and the Boka Restaurant Group) takes as its point of departure an homage to its location and reverence of place. With its front door situated directly across from the iconic Chicago Cubs sign and entrance to the famed Wrigley Field, Dutch & Doc’s reinterprets the types of social gathering spaces that existed as a nascent baseball culture in the late 1800s first took shape, connecting us through a sort of time-space continuum to one of America’s oldest institutions. During this period, European pub culture (early establishments which successfully combined the experience of food and drink together with sport) was American-ized into more utilitarian and less embellished environments. Places like Public Houses, Meeting Halls, and “Lunch Rooms” housed small sport-minded communities in early 20th century Chicago as baseball was starting to capture the public imagination, and as such provide the narrative backbone for the design of Dutch & Docs reinterpreted in dreamlike retro-future tones.